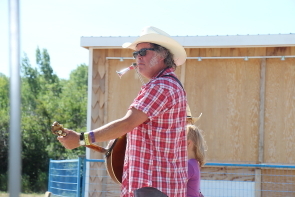 The South Country Fair in the Fort Macleod Fish and Games Park is a escape from reality for a lot of Lethbridgians who gather to visit with friends and listen to music. 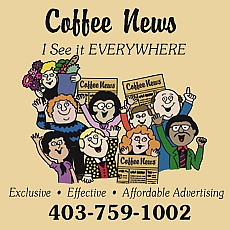 Most of the local music community hit the road for the Fair and Lethbridge’s two main music venues, the Slice and Owl Acoustic Lounge close during the Fair so their staff and regulars can attend. “It’s a step away from the every day. Folks come to not only experience and enjoy artistic performances, but to become a part of the amazing pop-up community. It is full of spirit and is many peoples annual fill up of positive vibes and human kindness,” wrote artistic director Jana MacKenzie, who has booked another exceptional South stage for the weekend. “There are several opportunities this year for our audience members to learn something new and participate in creating music. We have a ukulele workshop led by Andrew Scott on Sunday at noon. He’s bringing 20 ukuleles and will be helping folks learn how to play. We also have The Vaudevillian conducting a washboard workshop on Saturday at noon. They’ll also be bringing some washboards for folks to play around on. The one I am most excited about though, is the adult choir, led by Carolyn Mark and Hank Pine. Songs have already been released and Facebook group created. There will be two practices (one Friday, one Saturday) both at 4 p.m. Then a performance on Main Stage on Sunday,” she added. Returning performers include Carolyn Mark, Geoff Berner and Kris Demeanor, Oh Susanna, who performs at 7:45 p.m., July 21 and Toronto based African inspired blues musician Ndidi Onukwulu who closes the south stage at 4:45 p.m. on July 22. She will also be performing the Pros and Cons of collaboration workshop with Shaela Miller and Carolyn Mark, at 1:30 p.m., Saturday, July 21. John Wort Hannam returns to play a solo set at 3 p.m., July 21 and will host the Sunday Church of the Long Grass with the folk/rock duo the Dimpker Brothers and 1920s style ragtime trio the Vaudevillian who also perform at 9:30 p.m., July 21. Victoria duo Hank Pine and Lily Fawn return to the fair this year to perform throughout the weekend. Lily Fawn will be performing a workshop with Geoff Berner and the Lemon Bucket Orkestra at 6:30 p.m. on July 20. Hank and Lily will perform Saturday night at 11:20 p.m. and Hank Pine will be taking part in a workshop with Kris Demeanor on the east Stage, July 21. “We’re excited to tour Alberta. It will be the first time we’ve toured outside of Ontario and B.C.,” said Fin De Fiesta Flamenco artistic director Lia Grainger, who brings the group, including members from Canada, Spain, France and Cuba featuring Seville born guitarist Dennis Duffin and singer Alejandro Mendia, who is from Bordeaux, France. They are also performing at Casa, July 25. “The South Country fair show will be more rumba with more of a kicking style and more of a party,” she said, adding indoor shows like case are a more intimate experience than outdoor festivals, of which they will be performing several this year. “They submitted. We‘re pretty excited about it,” MacKenzie wrote. They will be on the south stage at 1:30 p.m., Sunday, June 22. “The Lotusland poetry tent will still run in the evenings from 7-10 p.m. We always invite a couple of the spoken-word artists to perform on the main stage in between the musical acts, but this year they are doing it slam style! The artistic director of Lotusland, Jake DePeuter, thought of the idea to have three poets do one poem each rather than one poet doing 2-3 poems, MacKenzie noted. Kennedi O'Brien, Roylin Picou, and Johnny Macrae are performing on the South stage at 8 p.m., July 20. “Kiki the Eco Elf is an exciting addition. This kids performer will not only be at the Kids Kountry, but will also be performing on the main stage and is bringing a giant inflatable salmon where she will invite big and little kids in to hear stories and songs,” MacKenzie observed,adding over the close to 20 years she has been involved with the Fair, she has noticed more kids attending the Fair. Other acts include Aiden Tentrees and Patrick Hamilton aka Whitehorse duo Soda Pony, East Vancouver swing band the Yardbird Sweethearts, Edmonton hip hop band Boosh and the Dip who headline at 12:45, Saturday night, blues/soul/ gospel band the Wooden Horsemen, Indigo Joseph’s Etienne Fletcher, who performs Friday, Blues and roots musician Christie Rose and many more. Ticket prices are $30-$100 $100 advance weekend pass,$90 for seniors;Friday night $50; Saturday all day $60,$30 afternoon ;Sunday $30.